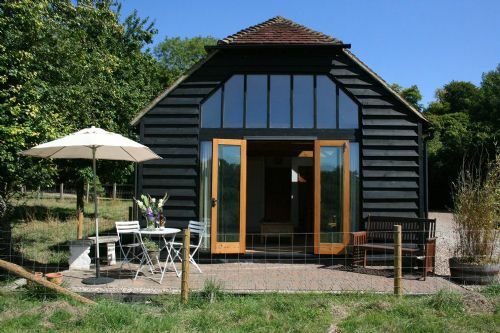 Luxury and unique holiday cottage in this truly rural location at the foot of the North Downs in an area of outstanding natural beauty, perfect for walking holidays. 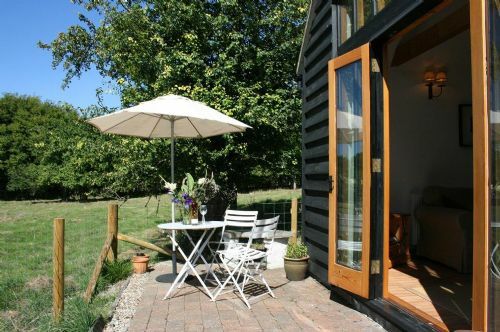 This lovely holiday cottage with a view of fields and woodland with nature all around would be a great option for a family holiday. It is possible to see deer grazing in the field outside the cottage. 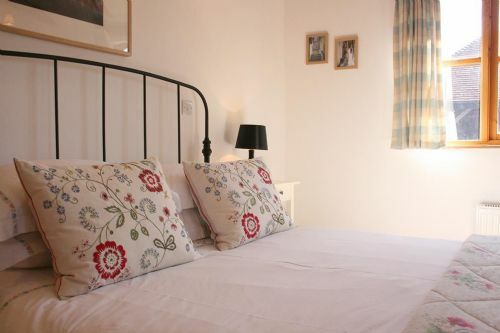 Furnished to a very high standard this holiday cottage is light and spacious offering a good standard of self catering holiday accommodation. Cottage near to Ashford with its wealth of restaurants and shopping opportunities, such as the Ashford Outlet Centre. Approached from the shared drive, single level property accessed directly into the living area. Kitchen area is fully-equipped with washing machine, fridge, freezer, microwave, electric hob and oven and extractor fan. Private patio area with table, chairs and a BBQ. 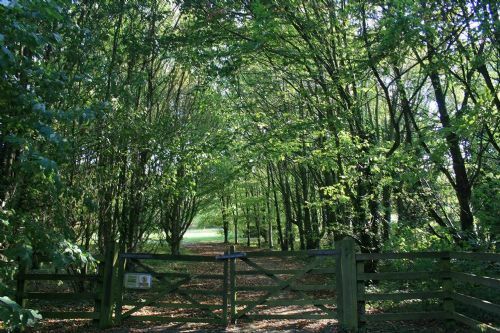 Access to 11 acres of fields and woodland, the field has chickens, guinea fowl and a pond, adequate parking. Spoilt for choice with some excellent pubs nearby including The Honest Miller in the village and a 40 minute walk across the fields takes you to the Five Bells at Brabourne. 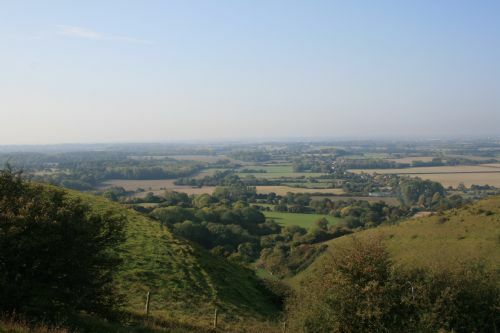 The pretty village of Wye is a short drive away, surrounding by stunning walking or cycling country. 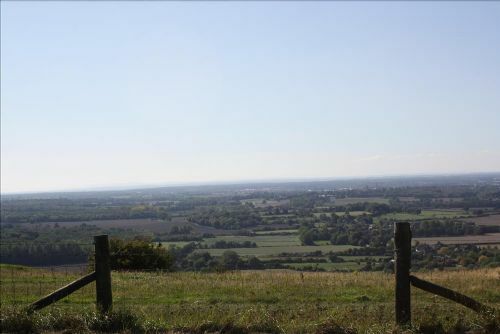 Kent is a wonderful place, made special because of the fine weather and the fantastic places to visit. The history, the sea and the whole countryside. But, this area is wonderful because of Chris and Maureen who shared the care and concern for their guests. They made our holiday special. We wanted peace and quiet, a place to explore and we found it exclusive, freedom and we felt relaxed and enjoyed our stay. Thank you both for a wonderful stay. Weather exceptional as were the hosts. Thank you both. It was more than "fine"! Having had a relaxing slow journey, stopping to visit a NT property, we arrived a bit later than intended, but had a very warm welcome from the owners, & there was a lovely gift of flowers, wine & new-laid eggs on the table. 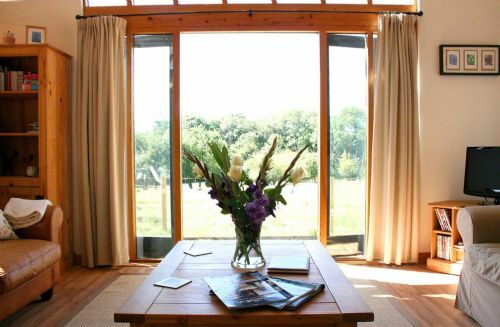 We loved the property, which was clean, spacious & stylish, with very comfortable furniture, & a marvellous outlook on to a field with sheep & guinea fowl, backed by woodland ... very Capability Brown, compared with Sissinghurst! The owners were extremely helpful & we used the bikes provided twice to explore the immediate area, which was fun. The location was great for seeing a lot of Kent, with its lovely old towns & varied coastal scenery.Hoping to return for more! Wonderful hosts. Made sure we has a good holiday. 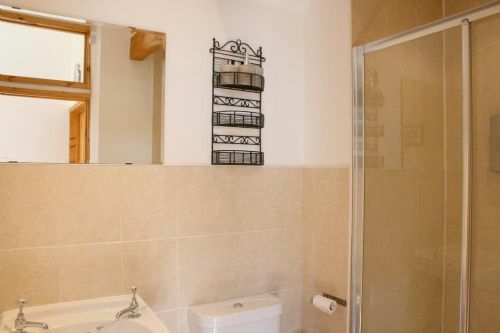 Beautiful cottage which was well furnished and equipped. Lovely views. A very comfortable cottage in a peaceful environment. The owners are extremely welcoming and helpful - couldn't be better, in fact. Very nice cottage and great owners who couldn't do enough to help. 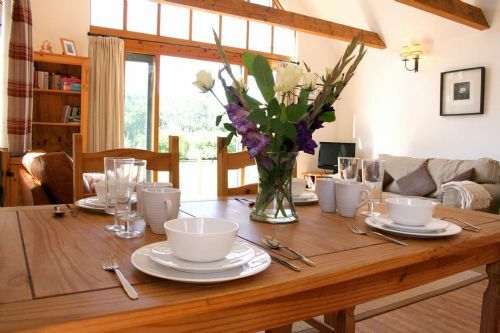 The area is fantastic and the cottage is placed really well to give a great view and feeling of relaxed seclusion. 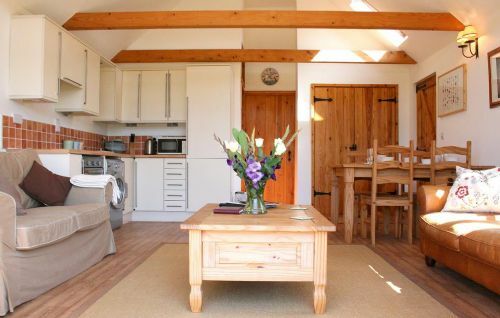 We love The Barn at Fishponds Cottage; Chris and Maureen always make us feel so welcome and the facilities are just what we need and the setting is beautiful and peaceful. What a wonderful time we have had, it is so beautiful here and you have taken so much time to create a relaxing haven. The walks locally are wonderfully easy to enjoy, even with two London Children. We've discovered a gem! 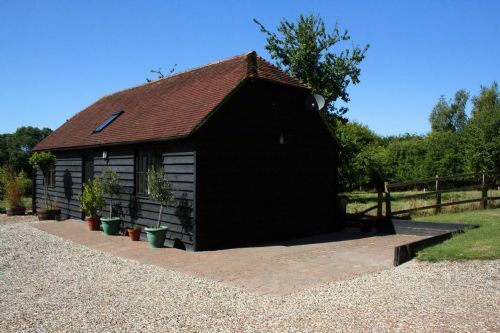 "The Barn" has been a perfect home from home for us, from which to explore Kent. The surroundings are idyllic and the wildlife, especially the Deer, a real treat to see. I wonderful week spent in kent! with "The Barn" being the perfect base for our adventures! 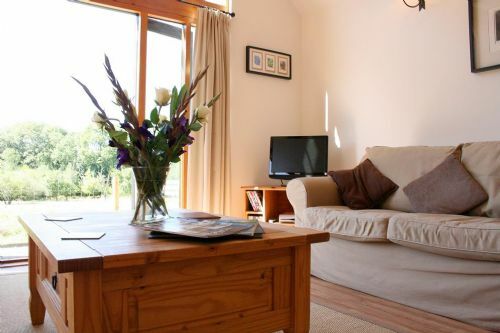 A quiet, peaceful and well equipped haven with interesting wildlife right outside the window- hours spent in the mornings and evenings watching the Rabbits, guinea fowl, deer, foxes, a badger and even a woodpecker!. We had a great time exploring the area (both Dover and Leeds Castles are fantastic) from this handy central location. A wonderful welcome from our hosts ( Maureen and Chris) made us feel at home - thank you for the wine - without being intrusive. A truly memorable holiday! thank you. Lovely setting and enjoyable holiday. Beautiful cottage and scenery - highly recommend! Professional and helpful service from the staff at Mulberry Cottages throughout. Many thanks. Excellent base for touring Kent. Easy access to downs and walks. Beautiful location with lots of animals on site or to be seen in the area. Nice welcome, highly recommended. The barn has been the perfect hideaway for us. We have enjoyed every minute. We look forward to coming back. On this our second visit, we have confirmed our previous thoughts, a beautiful, quiet, idyllic setting, complete privacy but yet so near lovely places of interest. We have had a lovely holiday and visited many places such as Tenterden and travelled on a steam train and also the historic village of Wye. Thank you for providing such a wonderful place and a warm welcome. We have enjoyed a peaceful week in a peaceful beautiful setting. We truly hope that all future visitors to the barn enjoy their stay as much as we did. Thank you for the flowers, wine, eggs and most importantly the privacy. Many thanks. We regret that no cot or highchair are provided at this property. 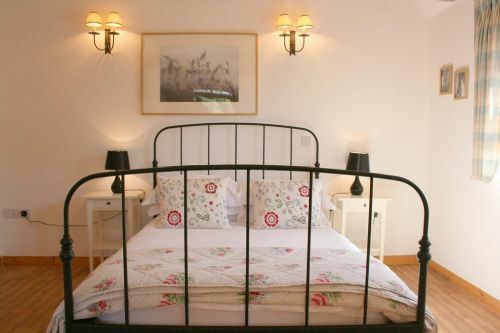 This property has a vehicle recharging point, available for guests to use.